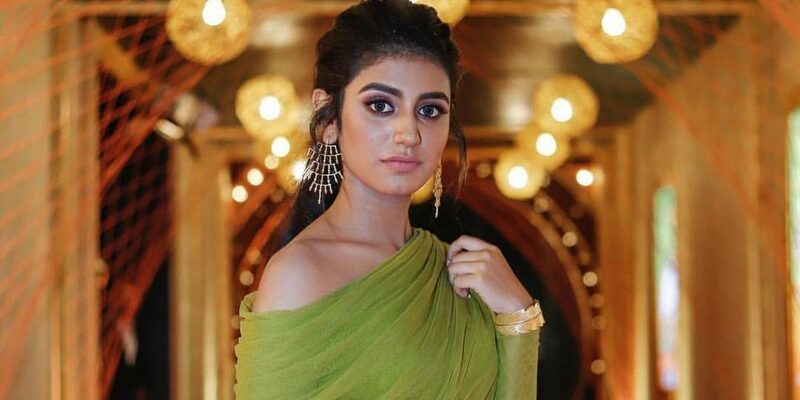 Internet sensation Priya Prakash Varrier has been in the limelight since a clip of her flirtatious wink from the malayali movie ‘Oru Adaar Love’ went viral. Soon after, her chemistry with her co-star Rohan in the song (Manikya Malaraya Poovi) created quite a ripple effect. Now, everyone wants a piece of this young Malayali actress. Recently, she was in the news for her portrayal of late veteran actress ‘Sridevi’ in her upcoming movie ‘Sridevi Bungalow’. Though, makers of the movie have denied reports of any link with the late actress, reports suggested that Boney Kapoor had filed a complaint against the actress. The first reason has to be that wink, which catapulted her to stardom and made her the internet sensation. Priya Varrier has put Malayalam film industry on the centre stage and many people are now showing interest in Malayalam cinema. Cricket is like a religion in our country and Priya Varrier is also bitten by this bug. The young cine star’s favourite cricketer is Mahendra Singh Dhoni. Women all over the world are debating what feminism is and if you really want to know what equal rights are, then see the song and you will come to know that Priya Varrier makes a boy blush with her wink and that is breaking all the barriers and stereotypes. Priya Varrier might be darling of the masses but has come across as a very calm, rational and intelligent individual who has not got carried away with the unexpected fame and is setting an example on how to conduct yourself in public. The internet sensation is fast becoming a brand on social media and is competing with the likes of Kylie Jenner and Cristiano Ronaldo for social media space. But, the main thing is that Priya Varrier’s sudden fame is not a fluke and if the film becomes a hit, then we could be seeing a lot more of Priya, even in Bollywood opposite Ranveer Singh!